Looking for a project to make with your child that can be displayed in your home during the holiday season? Creating a <a href="http://www.inhabitots.com/diy-project-make-your-own-snow-globe/">recycled snow globe</a> is a fun way to get him excited for the holiday, and also gives him something to show family, friends and visitors. Snow globes are magical items with the tiny creatures inside and the snow that falls when you shake it. Making your own snow globes with your children is a breeze. All you need is a jar from your <a href="http://www.inhabitots.com/7-arts-and-crafts-projects-for-kids-that-encourage-recycling-and-reuse/">recycling bin</a>, small plastic toys and few other supplies. Read on to learn how to do it in just a few easy steps. <h2>Step 1: Punch Out Snowflakes</h2> You will need a lot of "snow" for this project. 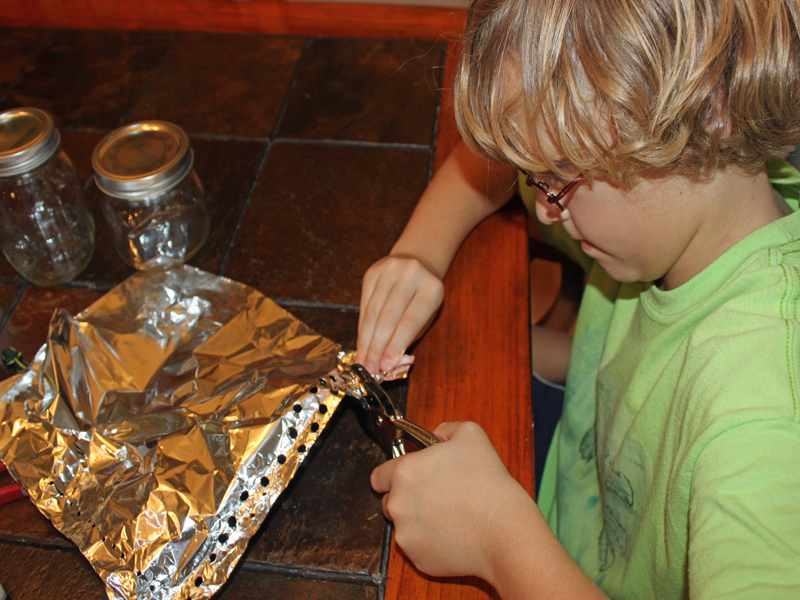 To make our snow, we used a hole punch to punch holes in a leftover piece of aluminum foil and the inside of an empty juice box. I let my son take over this part - he enjoyed punching a nice pile of dots to use in the snow globe as snow. 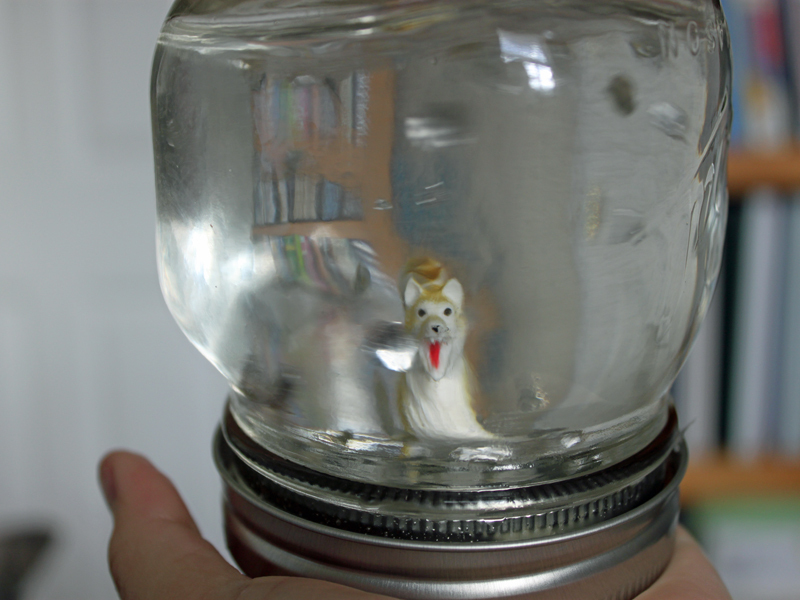 <h2>Step 2: Pick Your Creatures</h2> The mason jars that we already had on hand were a little large for this project. If you have baby food jars, I think they would be perfect size. However, we worked with what we already had on hand. 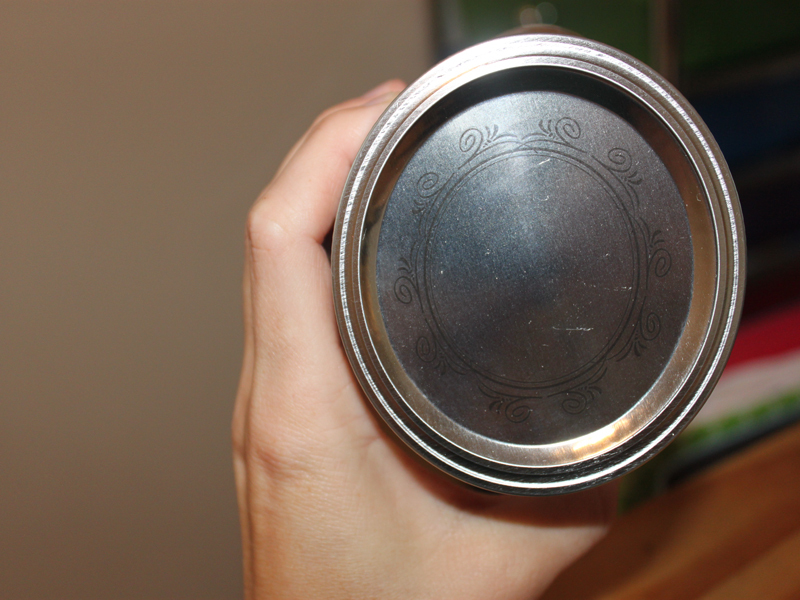 You will want to find one or two small creatures that will fit on the inside of the mason jar lid, allowing the jar to screw closed. We also choose old toys that we already had on hand. 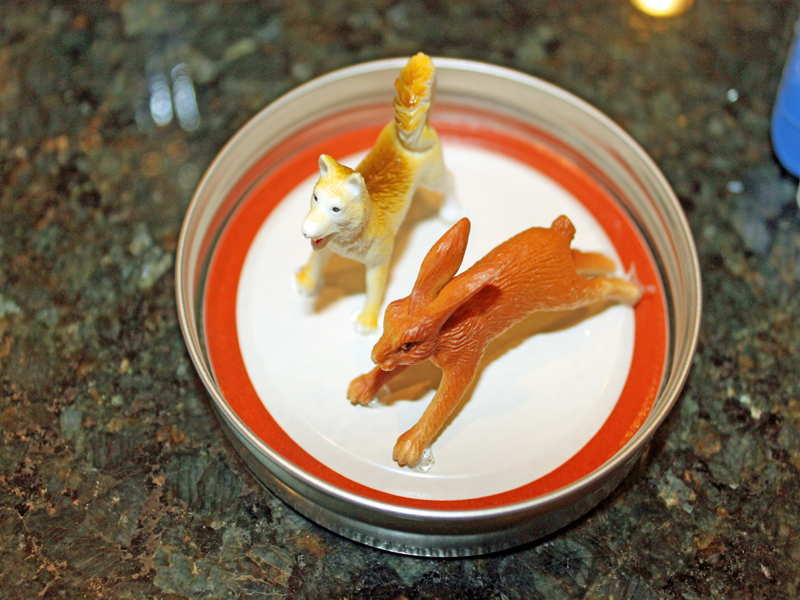 If you have winter animals, those would look especially sweet and festive in the snow globes. 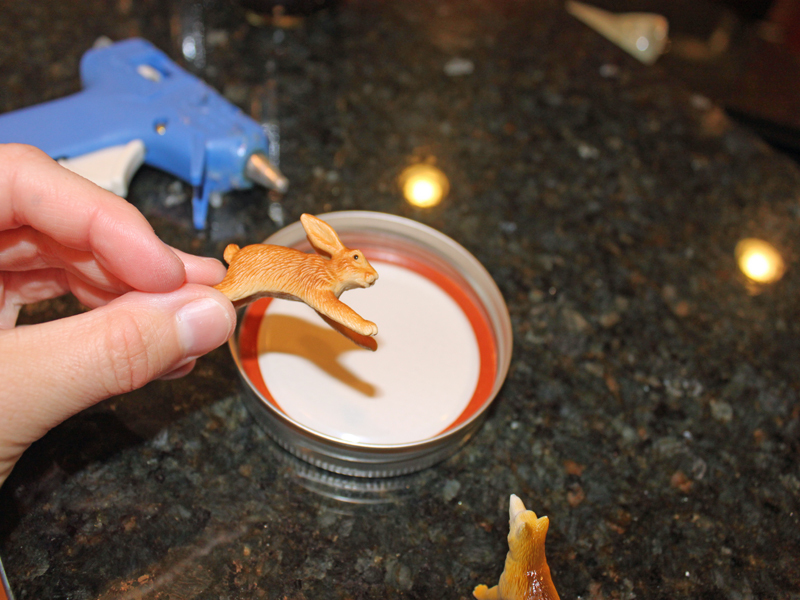 <h2>Step 3: Glue the Toys</h2> Use a small dollop of hot glue to secure the creature to the lid of the mason jar. 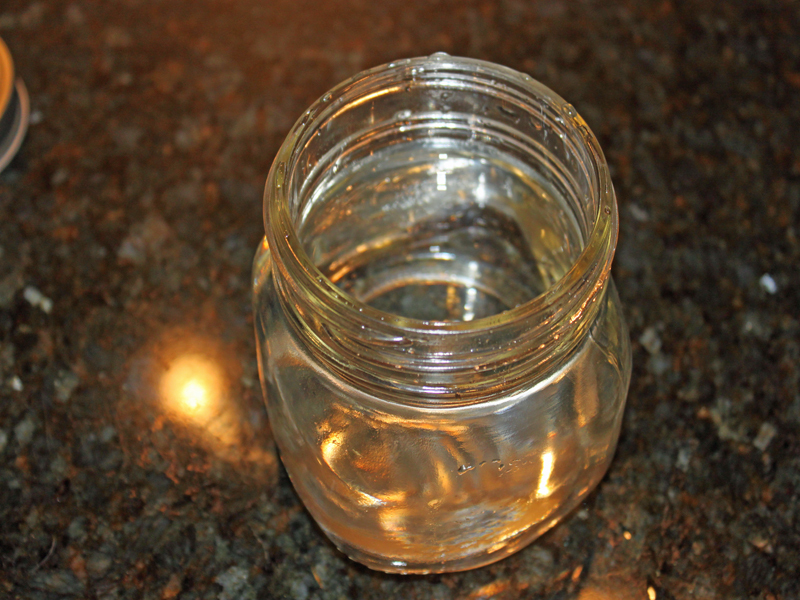 <h2>Step 4: Just Add Water</h2> Fill each mason jar almost full with water, you will want to leave just enough room for the water to move when your child shakes it. 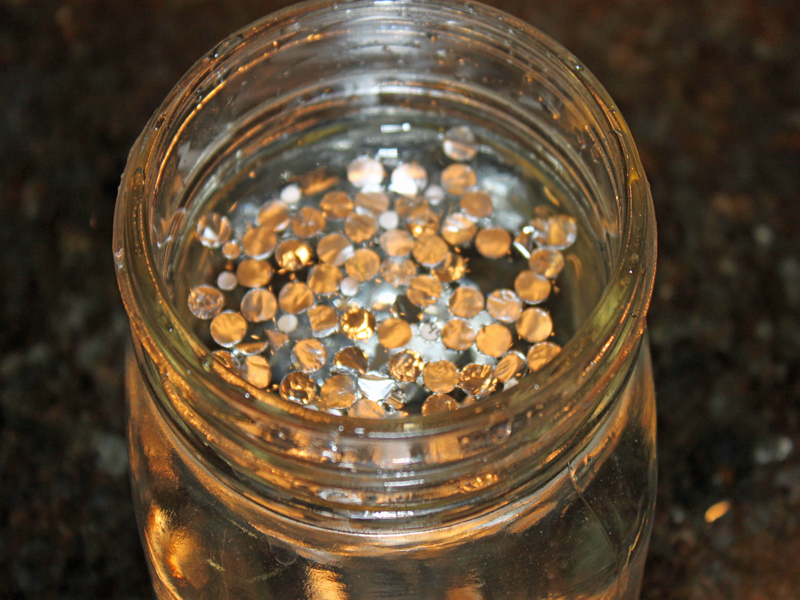 <h2>Step 5: Add the Snow</h2> Let your children add a handful of the snow that they hole-punched from the aluminum foil to the water mix. <h2>Step 6: Add the Lid</h2> Screw the lid on super-tight so that the snow globe doesn't drip when your child shakes it. <h2>Step 7: Enjoy a Winter Wonderland</h2> Smile as your child marvels as the snow falls down on their winter wonderland. This has been one of my son's favorite projects of the holiday season. Looking for a project to make with your child that can be displayed in your home during the holiday season? Creating a recycled snow globe is a fun way to get him excited for the holiday, and also gives him something to show family, friends and visitors. Snow globes are magical items with the tiny creatures inside and the snow that falls when you shake it. Making your own snow globes with your children is a breeze. 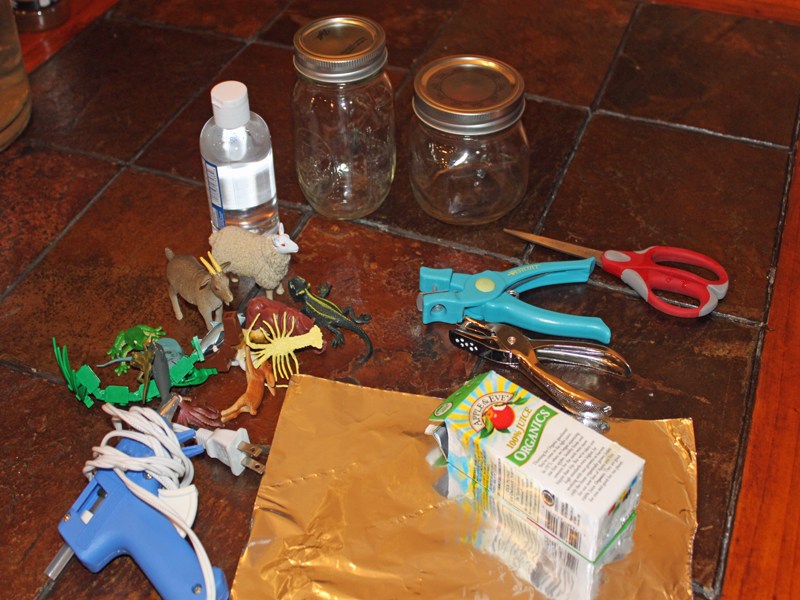 All you need is a jar from your recycling bin, small plastic toys and few other supplies. Read on to learn how to do it in just a few easy steps.